All year long — and especially this summer — ports nationwide have processed record amounts of cargo before the typical peak times of late September and early October. The Northwest Seaport Alliance, which operates ports in Seattle and Tacoma, Wash., reported a 10.6% increase in July volume for 20-foot-equivalent units, or TEUs, compared with year-ago levels. 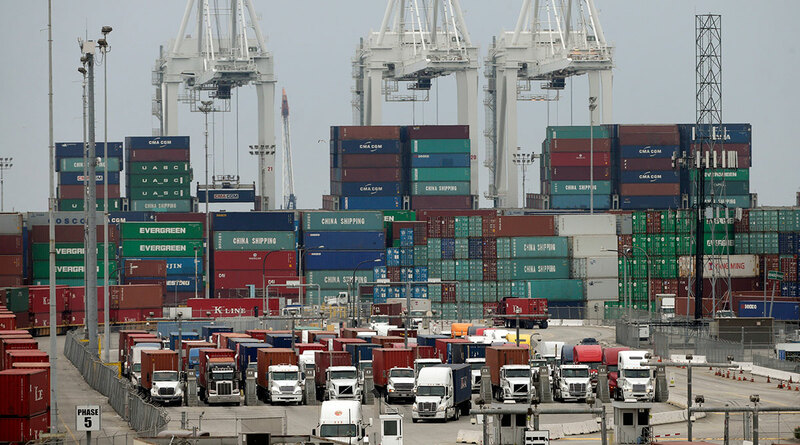 The Port of Oakland said it had the busiest August in its 91-year history. “We’re encouraged by the solid start to the peak shipping season, but there is uncertainty in the trade environment,” said the port’s maritime director, John Driscoll. The Port of Los Angeles said August was the sixth-busiest month in its history, even as it recorded a 2.5% year-over-year dip in TEU volume. Nearby Port of Long Beach, the nation’s second-busiest port, is running 9.4% ahead of last year’s TEU volume rate. Port Houston is up 6% for the first six months of the year compared with the same time in 2017, and the Georgia Port Authority said its Savannah facility had its second busiest month ever in July, up 12.7% compared with 2017. Shipping experts said that moving up the timing of items to be shipped by one month to six weeks could make a big financial difference in terms of having holiday items on U.S. shelves that won’t have been subject to tariffs. Retail experts said the nation’s major ports will be very busy over the next month to six weeks as importers work to get their products into the country and ready for consumers to purchase in November and December. “We have seen consumer confidence beyond expectations, so product has been flying off of the shelves. So retailers have been trying to make sure they have those products to keep up with demand,” said Jonathan Gold, vice president of supply chain and customs policy at the National Retail Federation in Washington. China and the Trump administration are in an escalating trade battle. The United States announced on Sept. 17 it would impose a 10% tariff later this month on $200 billion worth of Chinese goods, increasing to 25% at the end of the year. That’s on top of $50 billion in tariffs that were imposed earlier this summer. Now, nearly half of products the Chinese sell to the United States are under some sort of tariff. China hit back immediately, announcing that on Sept. 24 it would impose $60 billion in tariffs on products, such as liquefied natural gas. Hackett Associates economist Paul Bingham said shippers are racing against the clock. “For a number of shippers they can see what’s coming in terms of the trade situation and they are trying to beat” the timing of the tariffs, he said.